Cornwall is fantastic place – a land of geographic and cultural identity distinct from the rest of Britain. In honor of this week’s shirt dedicated to Cornwall, here are a few facts and figures you might now know. 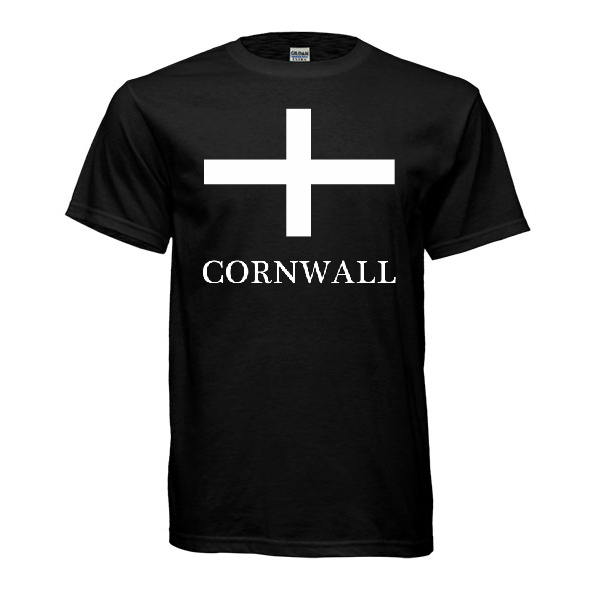 There’s still 4 days left to pick up this week’s design dedicated to Cornwall. Available in men’s, women’s, v-neck, long sleeve, hoodie and sweatshirt starting at $16.99 and shipping worldwide! 1. The flag of Cornwall is Saint Piran’s Flag. The flag is attributed to Saint Piran. Saint Piran or Pyran (Cornish: Peran) was an early 6th-century Cornish abbot and saint, supposedly of Irish origin. He is the patron saint of tin-miners, and is also generally regarded as the patron saint of Cornwall, although Saint Michael and Saint Petroc also have some claim to this title. Traditionally, St. Piran has been identified as the Irish saint Ciarán of Saigir. 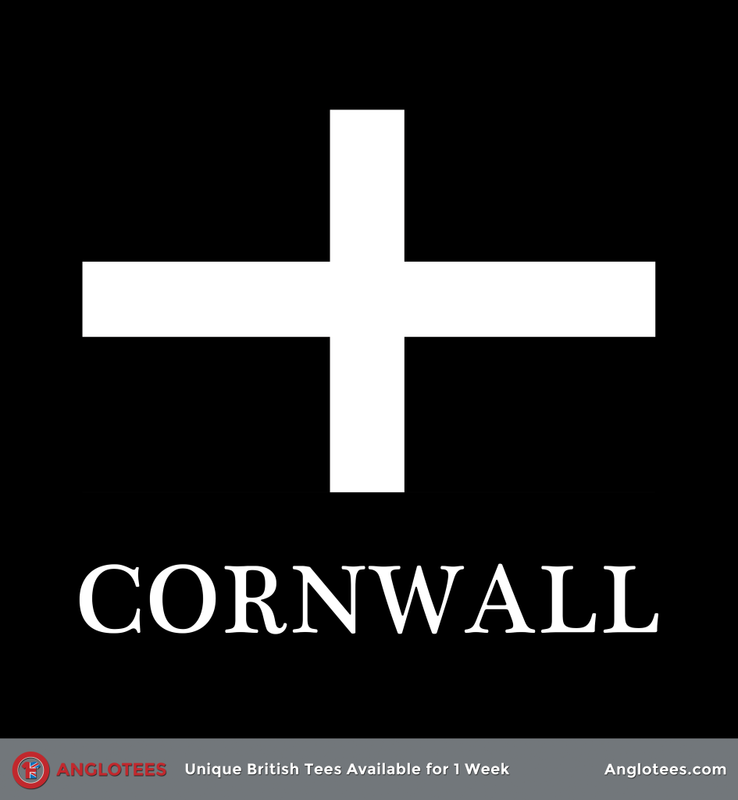 Saint Piran’s Flag, a white cross on a black background, is used as a symbol of Cornwall. Saint Piran’s Day falls on 5 March. 2. Cornwall is home to 545,355 people. 3. 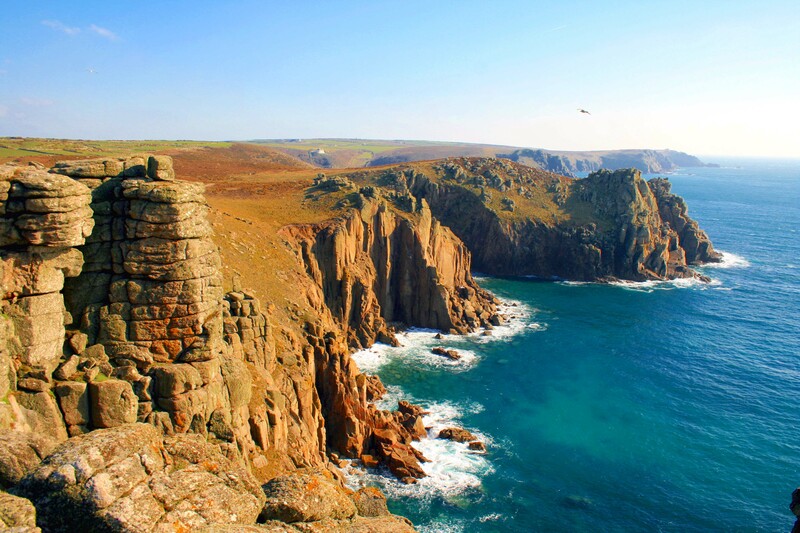 Cornwall is 1,376 square miles (3,563 square km) and features 422 miles of coastline (697 km). 4. Cornwall’s longest river is the River Tamar which marks the border between Devon and Cornwall. 5. Some famous British TV shows to be shot in Cornwall: Doc Martin (one of our favorites), Poldark (old and new), Jamaica Inn, Wild West, Wycliffe and The Camomile Lawn. 6. Following a review by the Boundary Commission for England taking effect at the 2010 general election, Cornwall is divided into six county constituencies to elect MPs to the House of Commons of the United Kingdom. 7. A Cornish pasty is a baked pastry, a traditional variety of which is particularly associated with Cornwall. It is made by placing uncooked filling, typically meat and vegetables, on one half of a flat shortcrust pastry circle, folding the pastry in half to wrap the filling in a semicircle and crimping the curved edge to form a seal before baking. 8. The Cornish language is closely related to the other Brythonic languages of Welsh and Breton, and less so to the Goidelic languages of Irish, Scots Gaelic and Manx. The language continued to function visibly as a community language in parts of Cornwall until the late 18th century, and it was claimed in 2011 that the last native speaker did not die until 1914. There has been a revival of the language since Henry Jenner’s Handbook of the Cornish Language was published in 1904. A study in 2000 suggested that there were around 300 people who spoke Cornish fluently. 9. Tourism is estimated to contribute up to 24% of Cornwall’s gross domestic product. In 2011 Tourism brought £1.85 billion into the Cornish economy. 10. Truro is the centre for administration, leisure and retail in Cornwall, with a population recorded in the 2011 census of 18,766. It is Cornwall’s county town and only city, also being the most southern city in mainland Great Britain. People from Truro are known as Truronians. Previous post: The Brit Food Fiver – Five Unique British Foods You Have to Try – Which is your Favorite?